Sauté red pepper, onion, and garlic in 1 tbps of butter. After browning the mixture add heavy whipping cream and deglaze. On medium heat, simmer and slowly stir in Parmesan and remaining butter. Turn on low heat and continue to stir until thickened. Brush lobster tails with mixture butter, garlic & juice of 1/2 lemon. Grill on medium heat 2-3 minutes per side or until opaque and firm all the way through. Continue to baste while grilling. Remove from grill, cut lobster in to small pieces and add to Alfredo Sauce. Serve over Angel hair pasta, spaghetti, or fettuccini noodles. Remove from grill, cut lobster in to small pieces, and add to Alfredo Sauce. Serve over Angel hair pasta, spaghetti, or fettuccine noodles. *Our favorite salt to use in most any recipe is Hawaiian Red Sea Salt. Only a small amount is needed and it tastes better than regular table salt. 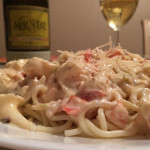 Fresh Lobster Recipe, Lobster Pasta, Seafood. Bookmark. This pasta looks so delish! I definitely want to try your recipe. Thanks for sharing with us at Merry Monday. 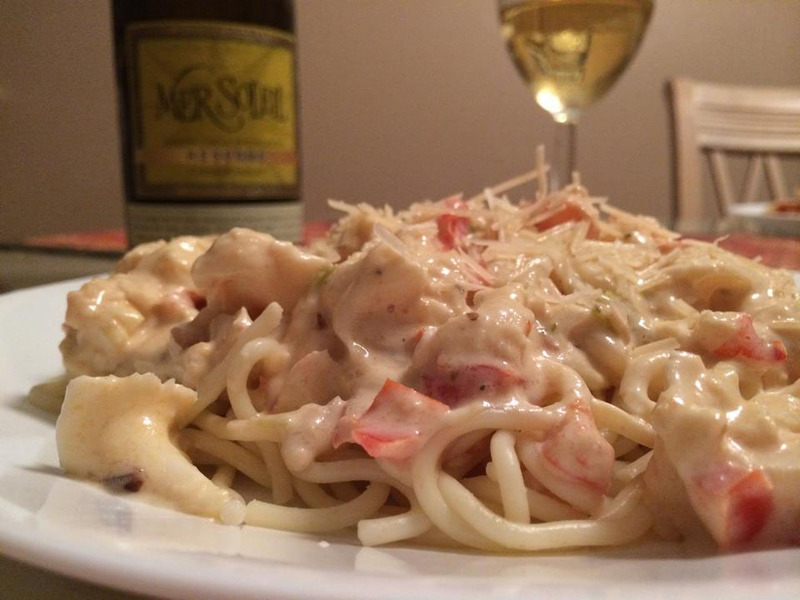 I have enjoyed lobster pasta in restaurants but never tried it at home. This looks delicious. I pinned it to try! My goodness this Lobster recipe looks delicious ..yum !